We know that ending hunger is not something we can do alone. Hunger-relief requires commitment, resources and action on all fronts, including the public policy arena. That is why Second Harvest Heartland is committed to advocating for programs and policies that get food and nutrition to those who need it most and feed as many as possible within our region. As one of the nation's largest, most efficient and innovative hunger relief organizations, we leverage our unique position to connect community voices, issues and stories with elected officials and public policy-makers in addition to mobilizing support for ending hunger. Education. 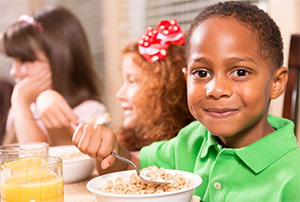 Second Harvest Heartland works to educate the public and policymakers on the causes and consequences of hunger and about food and nutrition support programs. Advocacy. We advocate for mindful and just food and nutrition assistance policies. Impact Policy. Second Harvest Heartland works to enhance and accelerate policies that impact hunger to strengthen the safety net and improve outcomes for low-income individuals. SNAP provides our hungry neighbors with the means to purchase nutritious food. It enables low-income families' to access nutritious food in support of their health, learning, and ability to work.